NEET PG 2018 Admit Card is issued online by NBE 2018 applicants. The admit card of NEET PG 2018 contains roll number of applicant along with other key details of exam. Candidates must bring admit card print out along with photocopy of SMC / MCI registration, and an original photo ID. Applicants can download admit card of NEET PG 2018 only once NBE allots test centers. Candidates are informed of its availability on their registered email ID. Link to download admit card will be available as soon as NBE releases NEET PG 2018 Admit Card online. Official website where admit card of NEET PG 2018 will be available is neetpg.nbe.edu.in. NBE has said that admit card of NEET PG 2018 will be available at least 4 days prior to exam. How to obtain NEET PG Admit Card 2018? NBE is conducting NEET PG 2018 on 7th January 2018. This time the exam is on a single day and in a single session. Starting from October 31, 2017, application form is available on official website. Those who apply with fees on time are being issued the NEET PG 2018 Admit Cards. As per the NEET PG 2018 information brochure, applicants are likely to get admit card on their registered email ID around 4 days before the exam. They will get an SMS alert and will also know about it through public notice. First, check your email ID or SMS sent on your registered mobile number to know whether admit card is available or not. If yes, then go to NBE NEET PG 2018 official website. Here you have to login and then download the admit card. Login with candidate ID and password. 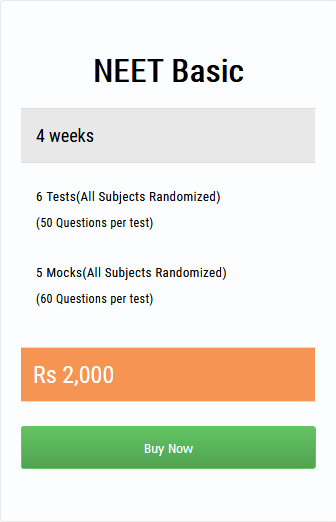 Once you login to candidate dashboard you can see admit card. Download it and save it. What to do after downloading NEET PG 2018 Admit Card? Print it: Print official NEET PG 2018 Admit Card on an A4 size sheet. Affix photograph: You will need to affix a photograph on it. The photograph must adhere to the following specifications. Display Photograph should display full front view of face. Check test center: Know exam center allotted to you through the admit card of NEET PG 2018. You should make travel arrangements to the center on time. Candidates will appear at the center at their own cost. What to bring to exam center? A print out of NEET PG 2018 admit card with photograph. Photocopy of Permanent / Provisional SMC / MCI registration. This will be retained at the center. Anyone valid and non-expired photo ID proof. Valid photo ID proof includes PAN card, Driving license, Voter ID, Passport, Aadhar Card (with photograph). If your name in photo identification does not match with that on admit card, because your name has been changed for any reason, then you need to bring the relevant document in support of proof. This can include Marriage Certificate/ Divorce Decree/Legal Name Change Document. Please note that the National Board of Examination has the right to withdrawn your candidature if you are ineligible; even if you have been issued the NEET PG 2018 Admit Card. You need to keep admit card of NEET PG 2018 as well as identification at all times when the exam is going on. If you are taking the e-Aadhaar card with Aadhaar number on it, then the copy should be of a good quality color printout. It should have the photograph that is clearly visible. Furthermore, the photograph should not have any scratches or marks. The face on photograph should definitely match that of the candidate. The decision of NBE in this matter shall be final. Candidates who have obtained their Primary Medical Qualification outside India and do not have SMC/MCI registration should bring their original screening test pass certificate issued on NBE letterhead.